Guess what? It’s World Emoji Day, where we honor and appreciate those goofy little faces that have transformed modern communication. Originally created in the waning days of the 20th century by a Japanese engineer, they’ve grown into a vital part of text messaging, with the release of new emoji a major event. If you get pissed off whenever you see one, now there’s a product for you: Emojiballs, tennis balls printed with one of six emoji faces. The creation of sports equipment manufacturer Baden, Emojiballs leverage the popularity of those little yellow faces into a cute and charming product. 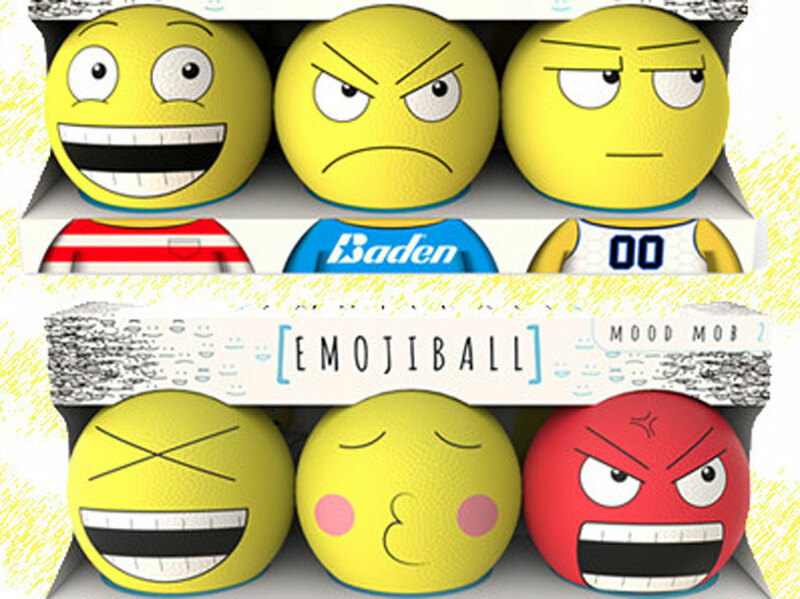 You can pick an Emojiball for any situation – laughing, frowning, kissing, or raging out – and take it to the tennis court. Each ball costs $6.99, but if you have a varied and diverse emotional palette, you’ll want to pay $14.99 for a set of three. Emojis are certainly enjoying a period of unprecedented cultural relevance, with Merriam-Webster adding the term to the dictionary this year. And, of course, balls are always culturally relevant. Baden Sports, the creators of Emojiballs, have been in the sporting goods business for 36 years, so the balls are of professional quality. They also plan to introduce additional customization options if your favorite emoji isn’t in the set. Fans of the poop emoji, that’s your cue to start emailing them relentlessly. Pre-order your balls at the official Emojiballs web site.